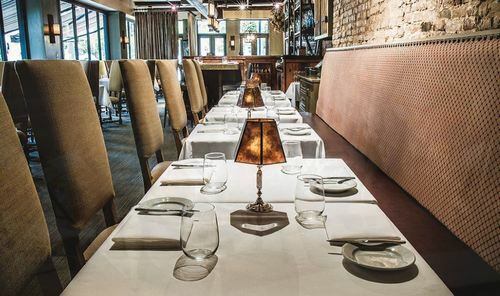 Chef James Boyce's Cotton Row Restaurant is housed in a historic Huntsville building constructed in 1821. A regular on the "Today" show, the "Martha Stewart Living" radio show and in national food publications, Boyce opened Cotton Row in 2008 after working in cities like New York and Las Vegas. Seasonal and local ingredients dictate menu items, including the restaurant's surprisingly simple dessert, peanut butter and jelly in phyllo. James Boyce got his start at New York's famed Le Cirque, while earning his culinary degree at the Culinary Institute of America. After stints at The Phoenician and Caesars Palace in Las Vegas, he worked as executive chef at the Loews Coronado Bay Resort and Studio Restaurant in Southern California. 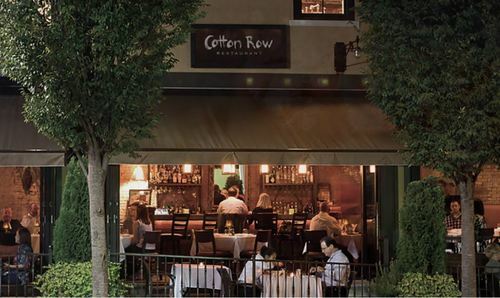 The two-time Mobil Five Star award winner and James Beard semifinalist opened Cotton Row Restaurant in Huntsville in 2008 and has since been a regular on the “Today” show and in publications such as Martha Stewart Weddings, Cooking Light, Food & Wine and Men's Health. 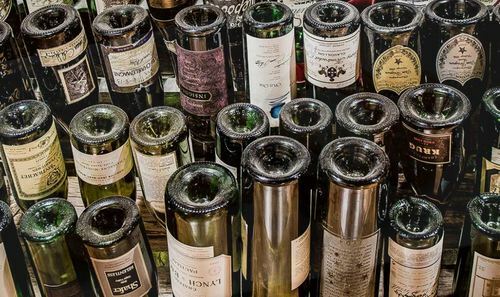 Boyce also owns Pane e Vino pizzeria and Commerce Kitchen, both in Huntsville. Although peanut butter and jelly has traditionally been the lunchtime sandwich of Americans everywhere, the combination is going gourmet with the help of Cotton Row. This dessert doesn’t call for white bread. Instead, the PB&J is enclosed in a thin, paper-like dough called phyllo. It’s commonly used for pastries and other dishes with various fillings. Originating from Central Asia, homemade phyllo takes time and patience to make because of the progressive rolling and stretching to make it so thin. 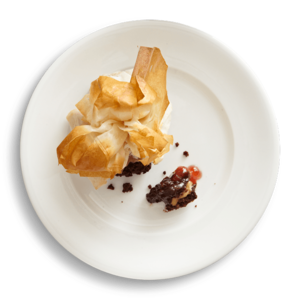 The peanut butter and jelly in phyllo originated when Cotton Row’s chef and owner James Boyce forgot to bring a dessert to an event he was catering. He raided the client’s kitchen and made the unique treat using found ingredients. It was so well received that he added it to Cotton Row’s menu. At the restaurant, Boyce uses homemade jam and chunky peanut butter to add extra crunch to the dish. Huntsville’s Cotton Row finds inspiration in its surroundings. The restaurant's name pays homage to the town’s cotton traders, and local ingredients appear throughout the menu offerings. One of the restaurant’s most popular dishes, Braised Meyer Ranch Beef Short Ribs, has been so well received that Chef James Boyce can’t take it off the menu. 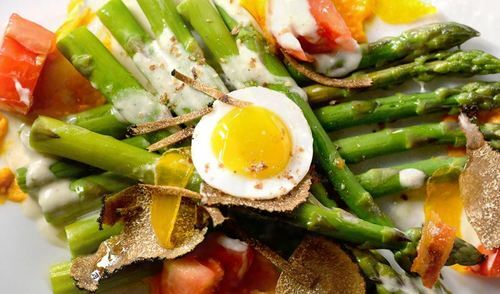 It’s an old recipe, a classic, prepared with locally grown ingredients. Anson Mills grits and fresh watercress from New Market complement the natural braised beef flawlessly for a blend of Southern tradition and modern gourmet flair.